Bloodwood is an excellent choice for guitars that need a red highlight. 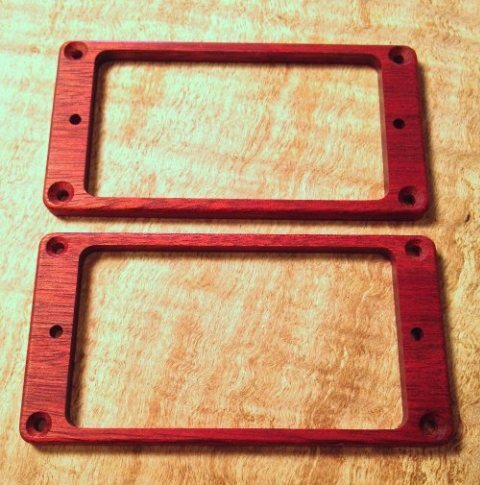 Bloodwood is a beautiful red color. It is strong and very tough and very well suited as a pickup ring. These rings will work very well on a Vintage Cherry or sunburst with some red in it. The possibilities don't end there - they can be used on a guitar with a black finish - either transparent or opaque gloss and these rings will be the highlight of the whole guitar. For sound, they will lend a little bit of brightness as they are a very dense wood.